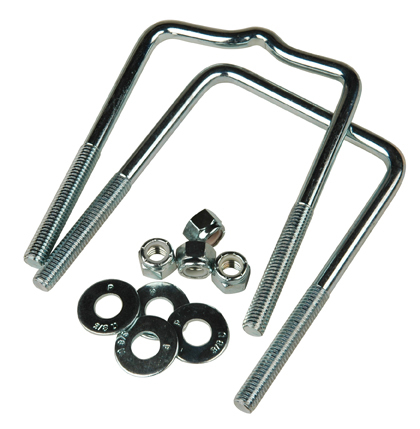 U-bolts for mounting to frames up to 3" wide x 4" high. Had to repair my 60" uprights so I purchased the U bolt kit to save time and energy trying to remove the old ones. Can you say grinder time? However the old ones came off very easily with a wrench and reused one old one and used a new one which worked perfectly. Great product. From Anonymous of Calexico, California on 10/9/2017 . From Anonymous of Allen, Texas on 5/28/2017 . Received these in a timely manner and they were the same high quality as previous items I've ordered for my boat trailer refurbishment project.